Austec has transported and installed over 200 demountable buildings for the Western Australian government over the past 10 years. The photos above are just a few of the buildings that were installed for schools throughout the state. As much work was kept in-house to have the best possible control over the fit and finish of each project. With all of the construction, electrical, air conditioning and ground works done by Austec we provided a well finished and safe place for a growing school. With over 25 years of experience, Austec has done over 230’000 domestic and residential electrical and air conditioning jobs, providing unmatched levels of experience and expertise for the jobs that you have. 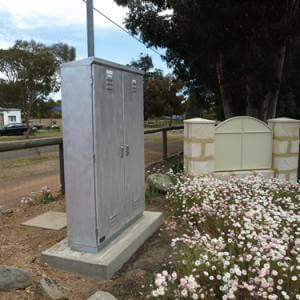 The photos you see here are from a selection of recent works that we have completed so that you can see for yourself, Austec’s electrical work and quality. Cardabia station is located 6km outside of Corral Bay, and Austec installed a 150kw Solar/Diesel/Battery hybrid power station. 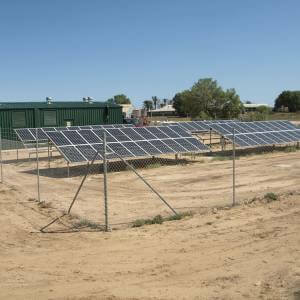 The station is fully automated and provide all of the power for the Cardabia Pastoral Station. It was designed, constructed and commissioned in house so that the design specifications for the harsh coastal environment could be met and delivered ahead of schedule. The power station has the inverter and battery functionality for a wind turbine to be installed at its next scheduled upgrade.